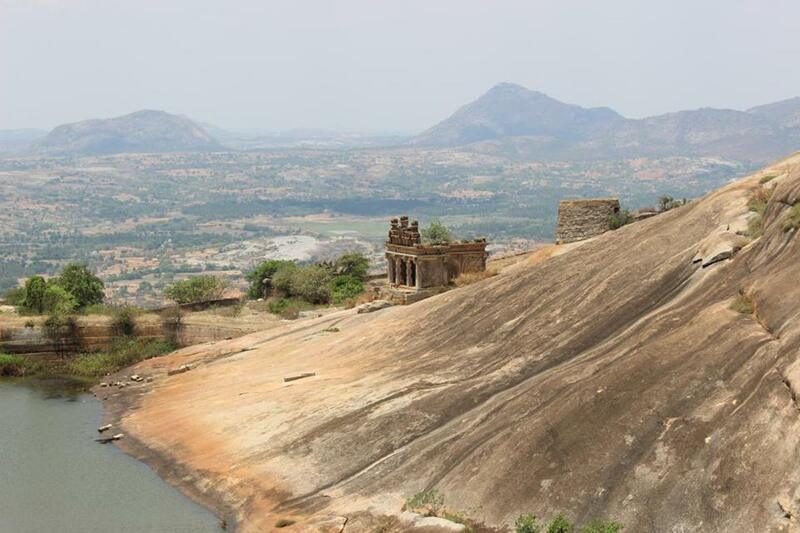 About the place: Chennarayana Durga is a hill station near Tumkur. It is good place for trekking and rock climbing. The height is of about 1,188 mts. 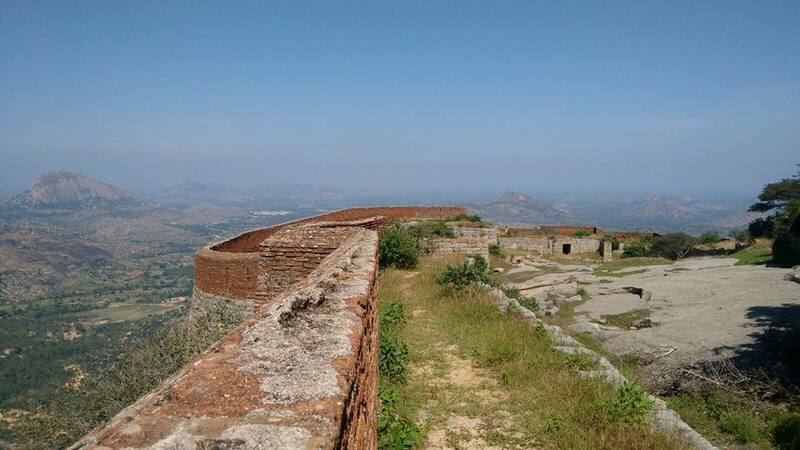 If forts or treasures that have evaded history's books are the kind of thing that make you salivate, then Chennarayanadurga is where your next adventure lies. 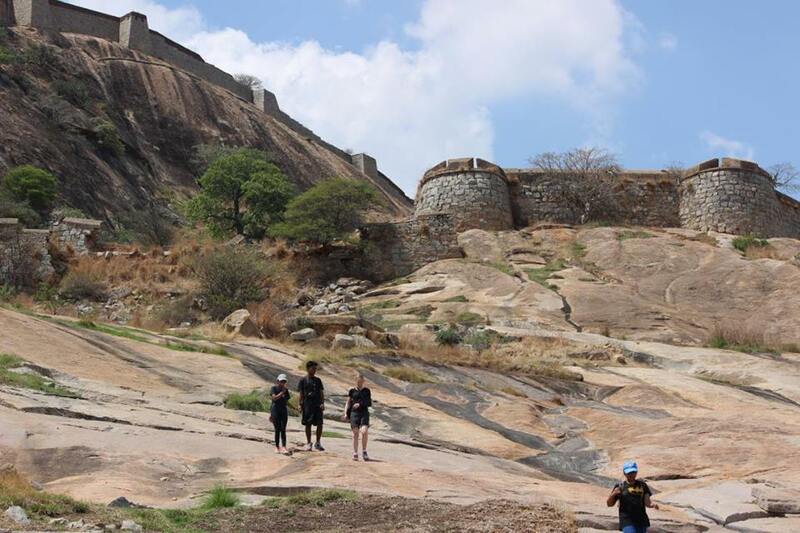 A mere hundred kilometers from the concrete of Bangalore city is the stolid granite of a hill fort that has borne witness to the rise and fall of several empires. 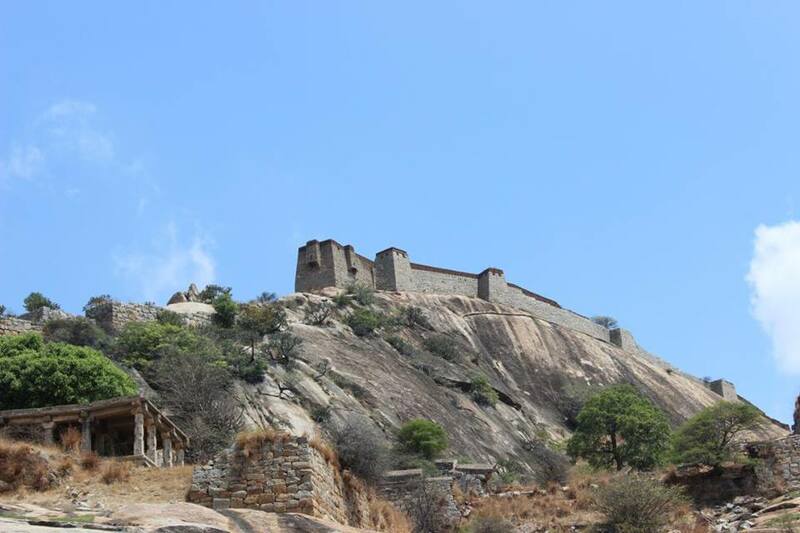 Originally built by the lesser known Kings of Madhugiri, it was then passed into the hands of the shrewd Marathas. It became a sure bone of contention between the Marathas and the Mysore Wodeyars, who toyed with Chennarayanadurga and passed her back and forth for many long years until the culmination of the Third Mysore War. This, quite possibly, offers basis to the hundreds of attempts made by locals as well as intrigued travelers who aimlessly hunt the hill down for any semblance of treasure that might have also escaped history's victors. Though not a single one of these attempts have met with any luck, their undying enthusiasm will keep them coming back for more. On the other hand, there are a unique breed of enthusiasts who try their luck at a different feat and also come back, hungering for more - they are trekkers. Now, chennarayanadurga may not have any treasure left in her chest, but the stuff she is made of sure offers just as fulfilling a challenge to any trekker that attempts this trail. By itself, the Chennarayanadurga trek can be classified as moderate. The starting point of this trail begins from the quaint village that rolls right up to the foot of the hill. Almost immediately you begin scaling the bare rock face that presents a steep gradient. With absolutely no tree cover to offer you any shade, this part can be rather tiring.